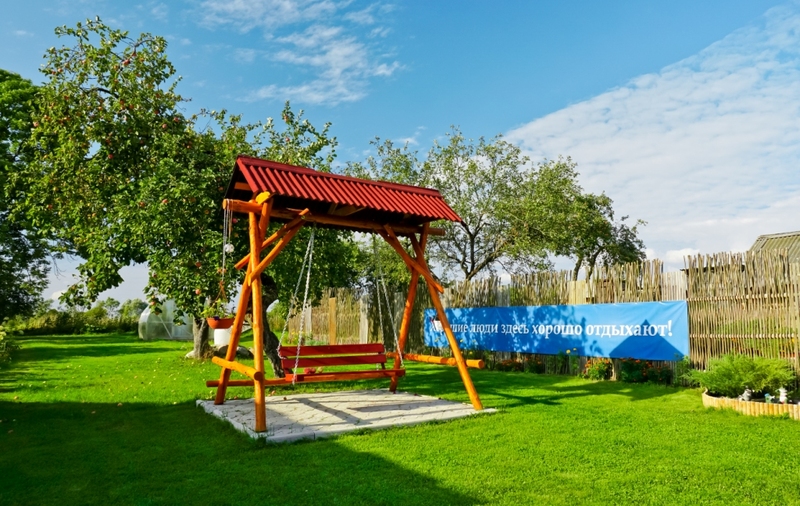 Agritourism in Belarus is a great opportunity to have a rest from the daily city routine. Regain your strength and reinvigorate your senses in the great outdoors. 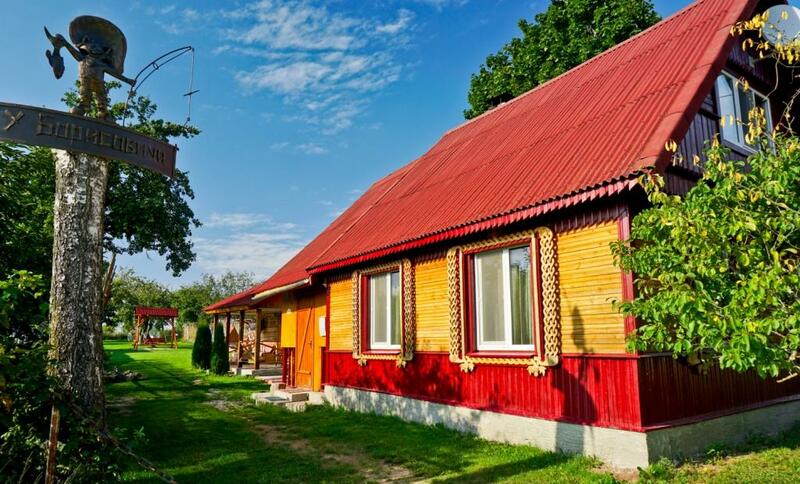 The Borisovich farmhouse is located in the ecological Braslavs Lakes area.You are very welcome to visit our century-old house, which was build in 1914, renovated with a modern twist and opened in 2011. There you can find everything for the best vacation: health improvement and relaxation for the body and soul. Exciting activities include fishing, driving a boat in the summer, as well as skiing and sledding in the winter. Also, enjoy fascinating water excursions, or have fun gathering berries, mushrooms, and herbs. What a pleasure it is to spend some time fishing in a boat at dawn, enjoying the sound of birds singing, and cooking fish soup on an open fire. In the evening, relax in a private “bania” with authentic birch or oak branches while enjoying the taste of herbal tea. 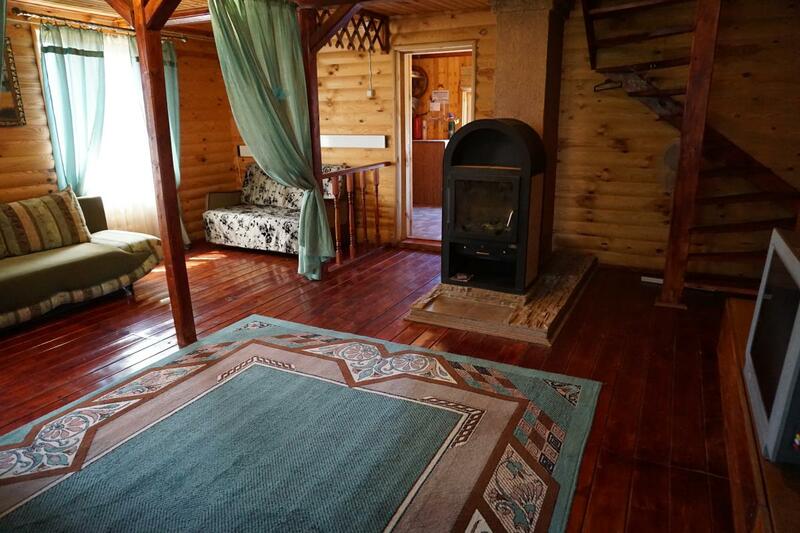 This newly-designed, authentic, Russian sauna has a wooden sweat room, shower with hot and cold water, and lounge. The sauna has an open terrace with a place for barbeque. This two-story wooden house has an open terrace and there is ample lighting throughout. Parking is available for up to two cars. For added comfort, a heated outhouse is also included. The first floor of the house is heated by a wood-burning fireplace. Electric heating is also available. The farmhouse is fully-furnished with satellite TV, CD and DVD players, an iron, and vacuum cleaner. Clean sheets are always available. The spacious kitchen comes equipped with hot and cold water, a gas stove, refrigerator, tea pot, and a full set of dishes. By request, food can be prepared by the owner (see menu) or guests may bring and prepare food on their own. 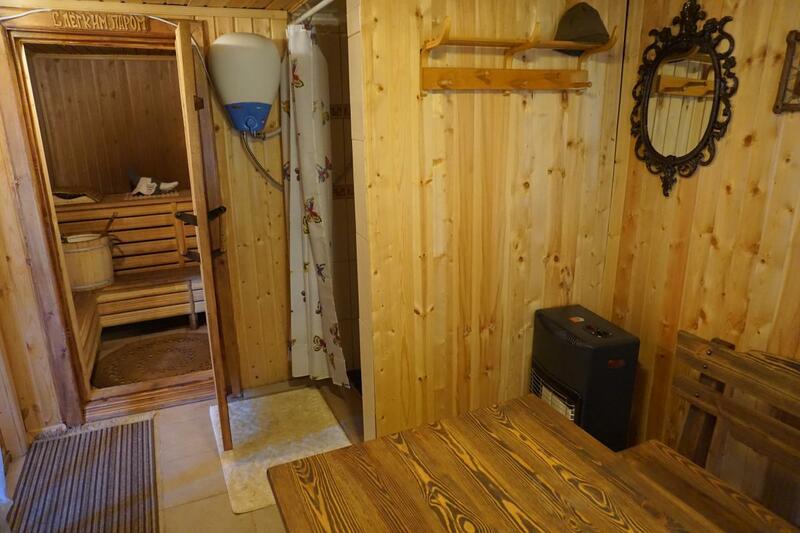 The sauna includes steam bath, brooms, sheets, shower - hot and cold water, washing machine, dayroom, and summer terrace. Complementary to guests at the Borisovich farmhouse are free badminton, chess, checkers, backgammon, dominoes, volleyball, darts, jump rope, four fishing poles, BBQ, 2 bycicles 'Aist 'and a wooden boat with life jackets. At the request fishing master-classes can be organised. The shoreline of the Lake Nedrovo is within 250 meters. The territory of the farmhouse is free from internet. The farmhouse next door 'Ustie LIFE” has WiFi. Transfer to the farmhouse and back can be organized for up to 4 persons. We provide a cultural program for our guests. The Borisovich farmhouse is a winner of the regional competition "The best estate of Vitebsk region in 2011" in the nomination “Hospitality”. In 2013 warded a diploma of the Ministry of Sports and Tourism of the Republic of Belarus at Belarusian tourist competition "Learning Belarus" for the revival and saving of national traditions in the nomination " The best agroecoestate in Belarus In 2013 "
A winner of Vitebsk regional competition "The best aroecoestate in Vitebsk Region 2013" estate in the nomination "Saving and revival of Belarusian traditions." For rates and availability, please contact us. We look forward to seeing you soon!